Many dinosaurs that once walked the Earth were so huge that it’s nearly impossible to wrap our heads around their sheer size. While plenty of dinosaurs have a reputation for being quite large, these 15 gigantic discoveries will give you a newfound appreciation for how intimidating they would have been to see firsthand. A great number of these ancient behemoths were members of the Sauropod group, lumbering calmly across the Earth in search of water and edible plants. Let’s learn a little bit about 15 of the largest dinosaurs to ever walk the planet and see what sets each of them apart. Shingopana, whose name means “wide neck” in Swahili, was about the same size as one of the colossal Orca whales. It was discovered during the Rukwa Rift Basin Project, and was found to have more in common with titanosaurs from South America than with the others that were present in Africa. 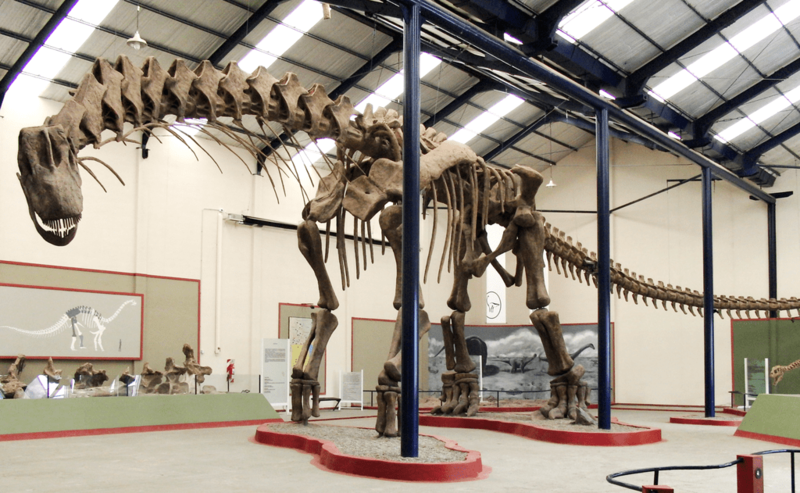 Titanosaur skeletons have been found all over the globe, but were especially prevalent in South America. Similar specimens are surprisingly rare in Africa, meaning that Shingopana songwensis was most likely king of the herbivores in the ecosystem of its time. 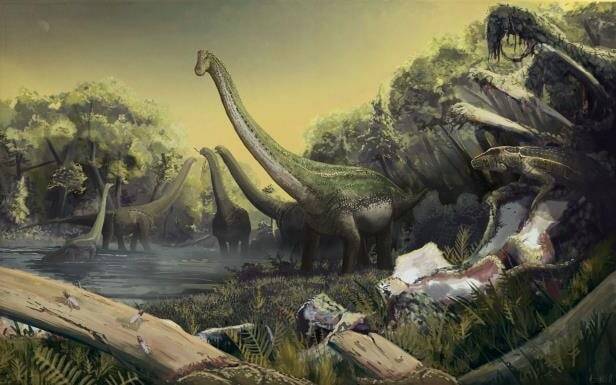 The lack of similarity between Shingopana songwensis and other titanosaur specimens in Africa have led scientists to investigate how different the habitats of North and South Africa were during the Cretaceous period. With a name derived from the Salta province of Argentina, this huge dinosaur stands apart from others for more than just its size. Saltasaurus is the first of its type to have had skin armored with bony plates called scutes or osteoderms. While it’s generally accepted that sauropods used their whiplike tails to fend off would-be predators, Saltasaurus’ scutes made it even harder to take down. 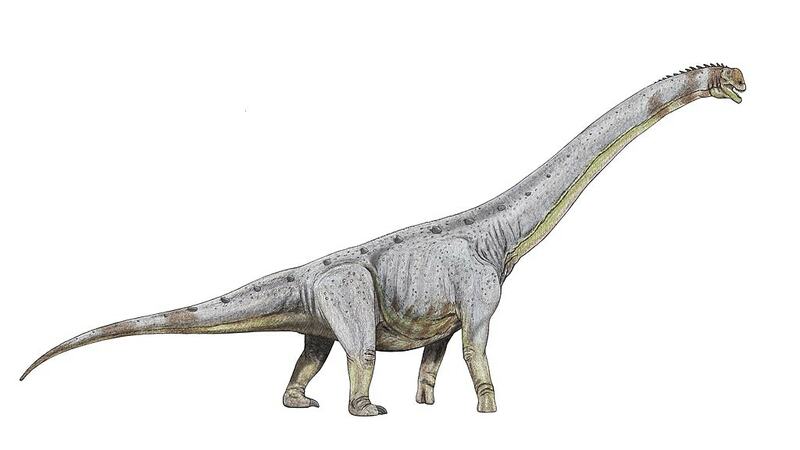 It also had a stockier appearance than many other sauropods, with shorter limbs and a short neck. Scientists had trouble recognizing and categorizing Saltasaurus in the past, because many of its bones were scattered and thought to belong to other dinosaurs. This dinosaur is smaller than several of its counterparts, so its bones were assumed to have been fragments of juvenile skeletons. The Spinosaurus, while barely able to compete with the much larger sauropods in size, was the largest carnivorous dinosaur. 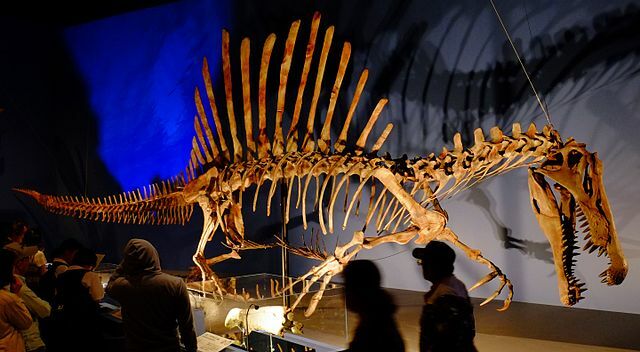 Many people used to think that the T-Rex was the largest carnivorous dinosaur, but the Spinosaurus comes out on top both in length and mass, sometime weighing twice as much. The signature trait of the Spinosaurus was its giant sail and unique teeth that looked to be adapted for catching fish. This giant terror is recognized as the first non-avian dinosaur to have a semi-aquatic lifestyle. However, paleontologists suspect that the Spinosaurus might not have taken to water as gracefully as previously thought. It appears that this huge predator was more of a floater than a swimmer. The spines that give the Spinosaurus its name jutted up from its back, likely connected by a webbing of skin. The massive spines could get up to seven feet long! The Rapetosaurus serves as an important milestone: the first titanosaur skeleton to be found almost perfectly intact, skull and all. As with many other sauropods, the discovery of this dinosaur helped solve some grey areas in terms of identifying and classifying fossil specimens. 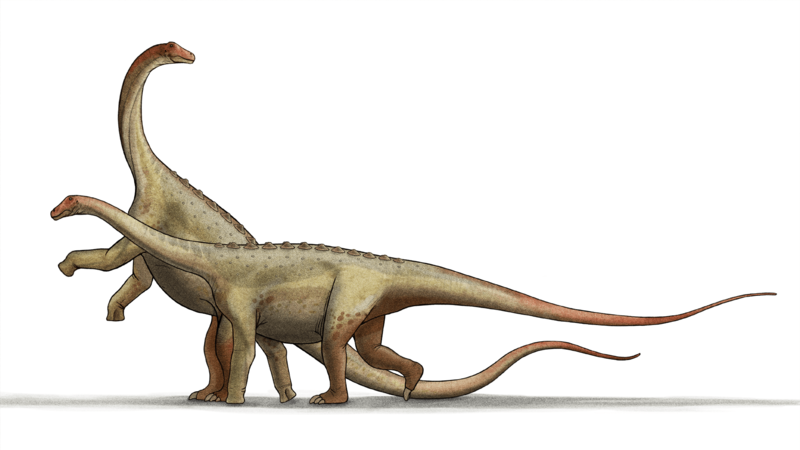 One unique trait of the Rapetosaurus is that their young hatched with proportions almost exactly like those of their parents. This means that they were born ready to start foraging on their own, rather than waiting in their nests to be fed. Young creatures like this are known as “precocial” offspring. It is theorized that titanosaurs developed this way in order to quickly attain their main defensive quality: their massive size. 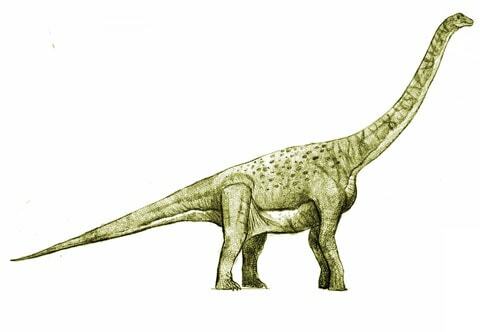 The name “Rapetosaurus” is derived from a Malagasy deity known as Rapeto, and from the Greek word for lizard: saurus. This lumbering herbivore is recognized as the longest dinosaur known from a complete skeleton. Size may have been the best defense for the Diplodocus longus, as scientists estimate that its brain weighed a mere 4 ounces–absolutely tiny for its size. However, since brain matter doesn’t fossilize well, this is only an educated guess based on the dinosaur’s skull size and comparison with trends in modern birds and crocodiles. One of the most striking characteristics of this dinosaur was its long, slender, bullwhip-like tail. One of only six complete Diplodocus skeletons found thus far, Misty the Diplodocus was auctioned off in West Sussex, England. Her nickname is short for “Mysterious”. She was purchase anonymously with the promise that she would be placed on display. The entirety of what we know about this late Cretaceous giant was based off of a single skeleton. Scientists have considered whether this behemoth sported the additional defense of bony plates, but remain uncertain. While its fossilized remains that have been unearthed aren’t exactly complete, the Elaltitan lilloi has its own claim to fame in the form of possessing the first titanosaur heel bone ever discovered. The name Elaltitan is derived from “Elal,” which is the creator god of the Tehuelche people of the Chubut Province in Argentina, and the word “titan” for the primordial gods of Greek mythology. 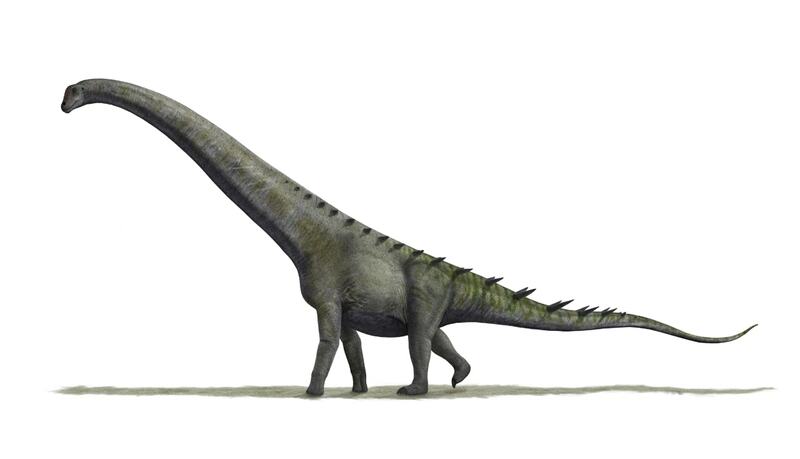 The first name of the Brachiosaurus Altithorax is Greek for “arm lizard,” and hearkens to the dinosaur’s long legs. The front legs were noticeably longer than the back legs, hence their prominence in the dinosaur’s name. The second half of its name means “deep chest,” in reference to the signature sternum that gave this species its proud appearance. This impressive dinosaur has actually been studied from rather few remains, many of which were found scattered about. Fortunately, despite the shambles that many Brachiosaurus Altithorax skeletons were found in, the discoveries did include a skull–a piece of the puzzle that commonly goes missing during the fossilization process. This species is characterized by its extremely long neck, and disproportionately tiny head. 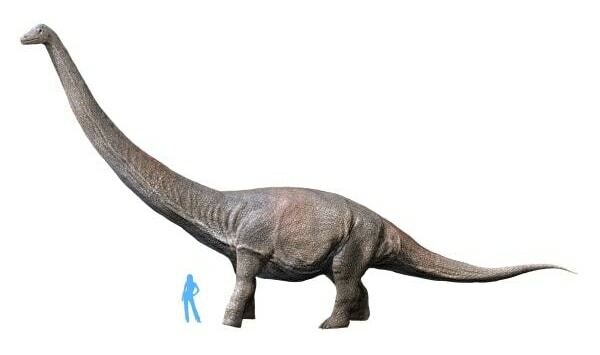 These features serve to make this enormous dinosaur look even larger than it was, even though its tail is proportionately shorter than that of many other sauropods. All size estimates for this Late Jurassic behemoth are based off the specimen reconstructed and mounted at the Humboldt Museum in Berlin, Germany. 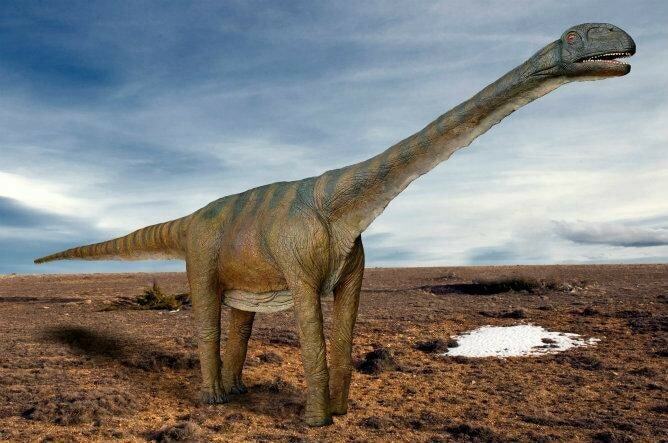 Giraffatitan brancai used to be confused with the Brachiosaurus and was referred to as “Brachiosaurus brancai” until scientists noticed some key differences in the vertebrae and heaviness of the overall build of the skeleton. 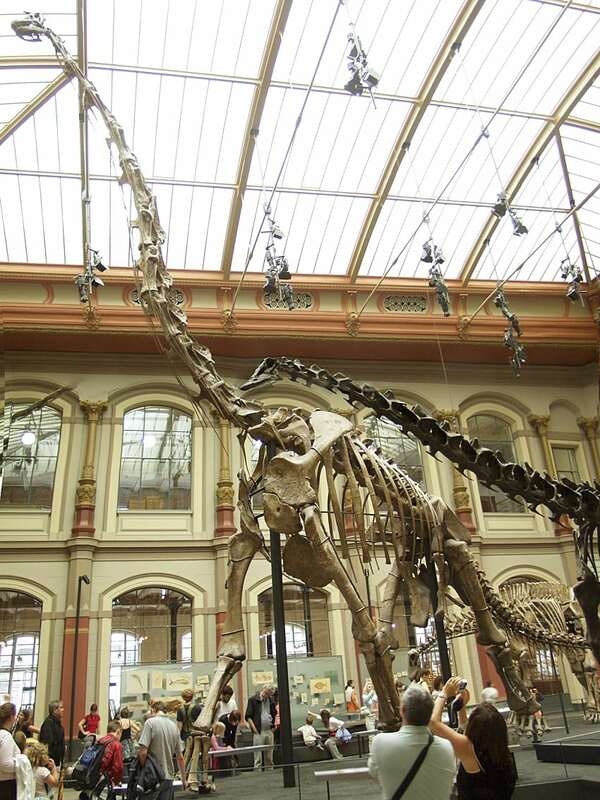 The unusually well preserved skeleton, once mounted in Berlin, was measured and declared to be the largest mounted dinosaur skeleton in the world. 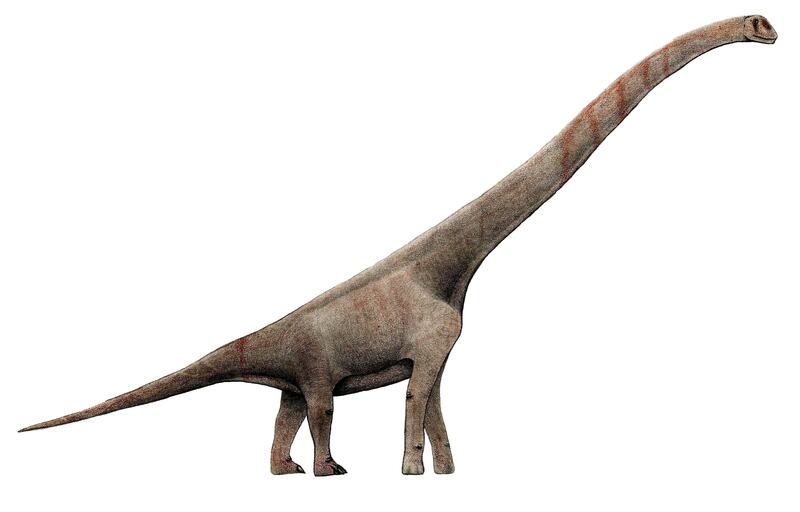 The Giraffatitan brancai skeleton was discovered on the Tendaguru Expedition, and was promptly labelled a Brachiosaurus because of its long arms. The higher front legs and giraffe-like build of the dinosaur are still hearkened to in its current scientific name. Austroposeidon is the largest discovered dinosaur in Brazil, and certainly one of the largest dinosaur discoveries overall. This massive specimen actually sat waiting to be recognized in the labs at the Rio de Janeiro Museum of Earth Sciences. Hidden in plain sight for over sixty years, numerous vertebrae lay unidentified during the tedious process of fossil identification. This huge dinosaur’s name means “Southern Earth Shaker.” It is derived from the Latin word “austral” which means “southern,” and the name “Poseidon.” In Greek lore, Poseidon took on the form of Enisokhthon and caused earthquakes. Turiasaurus riodevensis is the first mega dinosaur to have been discovered in Europe. With a humerus as large as an adult human being and a claw the size of a football, this awe-inspiring late Jurassic giant may also be the largest dinosaur to be found in Europe. Interestingly, the Turiasaurus riodevensis has been determined to have been more primitive in development than some of its sauropod counterparts. This discovery led scientists to recognize the dinosaur as being representative of a formerly undiscovered group of primitive Jurassic eusauropods in Europe. Scientists used to think that Turiasaurus riodevensis had a small, second brain located in its tail. However, this theory has been reconsidered and the feature in question determined to more likely be an enlargement of the spinal cord evolved to control the dinosaur’s massive tail. While not quite the largest dinosaur ever discovered, Futalognkosaurus dukei holds its own merit as the most complete giant dinosaur discovery made to this day. It’s especially difficult to judge the sizes of dinosaur skeletons when, as is often the case, the tail vertebrae go missing. This holds true for Futalognkosaurus dukei, since only one of the main tail vertebrae has been found and studied. Even still, the bone specimens that have been collected account for over 70% of the skeleton. This giant skeleton is thought to have washed into the river where it was found, and its body formed a barrier that trapped countless fish and other specimens. As a result, this giant dino offered all kinds of additional fossils to study alongside its own. 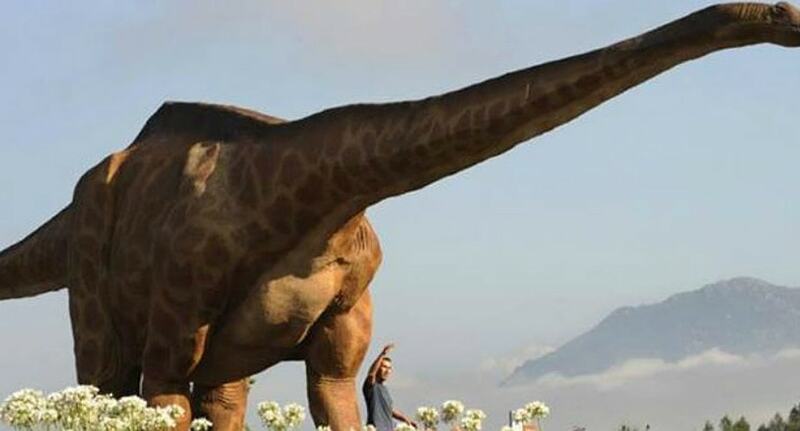 This heavyweight herbivore knew how to use its size to its advantage, utilizing its 37-foot neck to reach for edible vegetation in a wide radius. This enabled the Dreadnoughtus to remain still for considerable periods of time in order to conserve its energy. The massive, fossilized skeleton of this dinosaur was discovered in the southernmost region of Patagonia, and was unusually complete. Since the skeleton was so intact, paleontologists have been able to make a good estimate of this sauropod’s size. One of the neck vertebrae of the colossal Dreadnoughtus skeleton is over a yard in diameter! On top of that, scientists believe that this already huge specimen wasn’t even fully grown. This stunningly large dinosaur boast such an impressive size that when its remains were first discovered, its vertebrae were thought to be pieces of petrified wood. Each vertebrae was over 4 feet long, and together formed an astounding 40 foot long neck when Sauroposeidon proteles was alive. This lengthy neck allowed these sauropods to indulge in specialized grazing habits, eating foliage primarily from the tops of trees. At 55 feet tall, Sauroposeidon proteles holds its title as the tallest dinosaur ever known to walk to Earth. Scientists speculate that this dinosaur was so incredibly massive that it was actually completely safe from predators once it reached adulthood. Its size was so formidable that it was generally left to graze in peace. This Egyptian giant boasts the longest humerus of all known Cretaceous sauropod. Unfortunately, most of the Paralititan bones turned up have been in the form of fossilized leftovers from other predators. The best specimens remain at 100 fragments from 16 different bones. Still, scientists hope to one day uncover a far more complete record of this colossal dinosaur. This behemoth frequently used to wander the coastal swamps and mangroves, alongside more aggressive giants like the Spinosaurus. Paralititan is the first dinosaur to have inhabited the mangrove biome. Scientists speculate that, in addition to its great size, Paralititan may have utilized scutes for self-defense, much like the Saltasaurus. The main concern for Paralititan was most likely Carcharodontosaurus, who also frequented the mangrove habitat. The Argentinosaurus is the largest dinosaur ever. The fossil of this gigantic creature was discovered in Argentina by Guillermo Heredia. As a new discovery that has yet to receive a scientifically descriptive name, the dinosaur wound up simply being named after the location where it was uncovered. The astounding 70-foot height of Argentinosaurus would compete with that of a 7-story building, rendering it nigh untouchable as it grazed for hours on plant matter. The jaw-dropping scale of Argentinosaurus was mainly calculated by measuring and basing estimates off of its fossilized thigh bone. 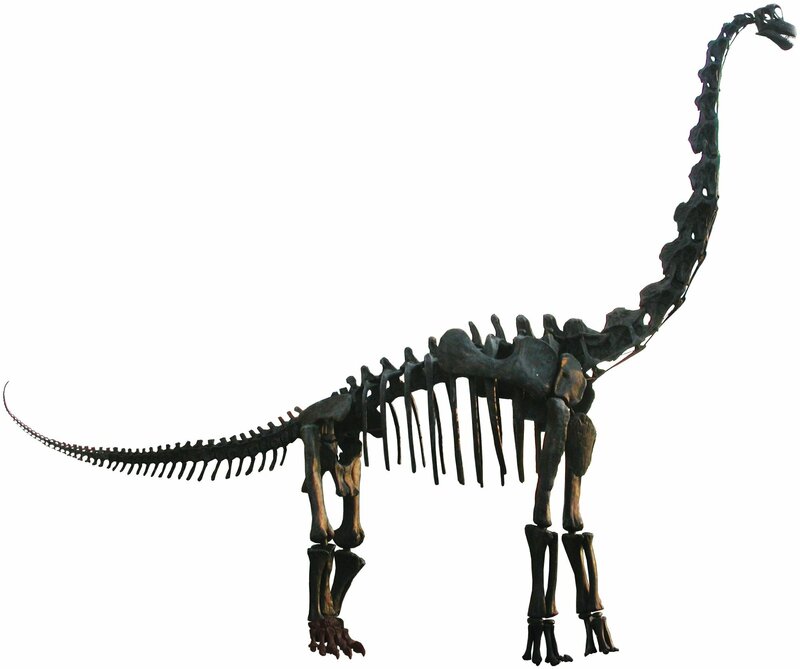 The massive bones of this specimen dwarf its competitors and suggest that this sauropod was truly gigantic by comparison.